For post-translational modifications, methods to enrich modified peptides from complex mixtures have played an important role. Chief among these is immunoaffinity enrichment, where antibodies directed against post-translational modifications (or remnants thereof) are used to capture analytes of interest for mass spectrometry analysis. To expand upon these methods, here we report on an automated PTMScan® immunoaffinity enrichment protocol, developed using the Phynexus MEA benchtop robot, for concurrent processing of up to twelve samples. System optimization has included interrogating the effects of peptide incubation, washing, and antibody-resin crosslinking on the sensitivity and specificity of this automated method. Using this technology in conjunction with Ubiquitin Remnant Motif (K-ε-GG), it is now possible to identify and quantify many >10,000 distinct ubiquitination events from cultured cells and tissue samples. 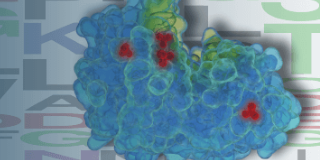 This webinar will focus on the utility of the PTMScan method in early drug discovery and the future of automation in multiplexed analysis of cellular signaling. Utility of the PTMScan® method for early drug discovery, and the future of automation in multiplexed analysis of cellular signaling. PTMScan® is a registered trademark of Cell Signaling Technology, Inc.